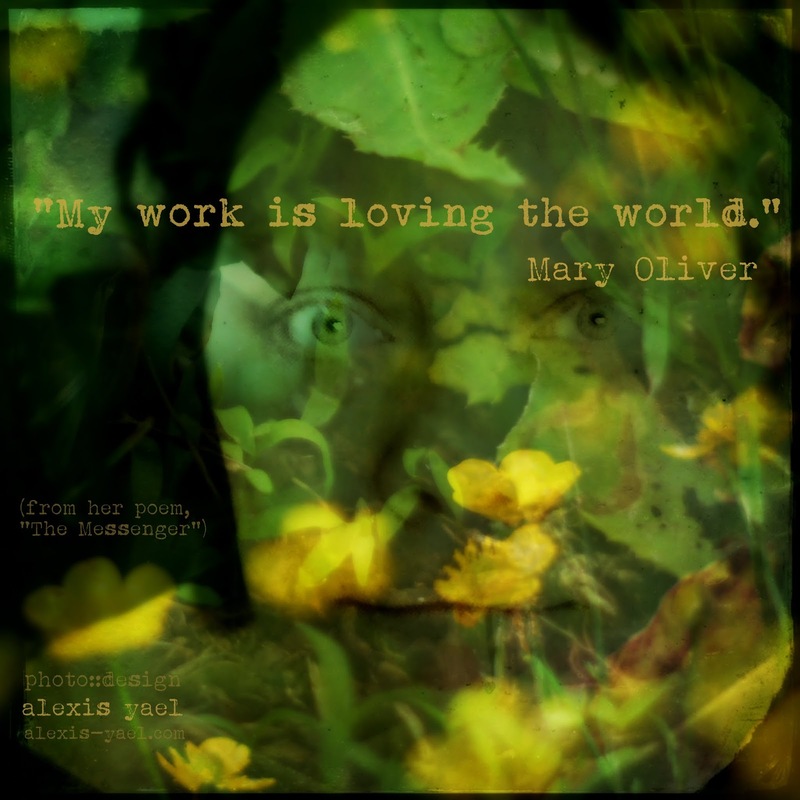 Today this quote by Mary Oliver leapt out at me from my FB feed: "My work is loving this world." Being a poet, loving Mary Oliver's poems, I had to find out what poem/book it was from. Thank Google. Even though Thirst is also a book about finding faith, this poem doesn't offer the familiar religious platitude of living forever in heaven, though I suppose a different reader might read that into the lines (and be comforted by the idea, as I would not be). For me, in my agnostically mystic way, I read the end as the way we go on to live after our death, in the decay of our bodies feeding the ecosystem (which I'm planning to do via cremation). In the recycling of our atoms. Our dust, feeding new life. But that's my belief. I take my comfort in knowing about the recycling of our atoms in knowing nothing is ever lost, though it changes form endlessly. Mary Oliver's a poet whose work is to craft words - her love of the world, manifest. So she shows us her world, the world she loves and is astonished by. It is her work, just as it is mine. The world is One, but our view of the slice of it we live in in "these body-clothes" differs and that's what makes each voice unique, what makes her poems and your poems and my poems worth writing. I don't usually write about other people's poems here. But this morning this poem hooked itself into me and wouldn't let go and so these words flowed. And that is my work, to love the world and write about it here.